11:50 AM CLOSING Q&A: IS INFORMATION THE CRITICAL ENABLER FOR THE FUTURE FORCE? Where will information dominance feature within the future capability balance? If information superiority is to be a core component of the future high-end fight, how can effect still be delivered when access to information is compromised? How do we effectively mitigate against the threat of IW and cyber attack? Is fusion the real challenge? How can the ISR capabilities of advanced combat air systems be exploited and disseminated in the context of the complex environment? To what extent is sensor and data fusion possible on existing platforms? What are the limitations? Are we adequately preparing for F-35 service-entry? How do we leverage the capabilities of existing platforms to field an effective mixed air combat force? Inserting NATO’s current force structure within a high-end combat situation. Which capabilities would give out first in the contested environment? What effectors will define the future combat air system? How valid is a network-centric concept of operations? Will information reliance prove to be a critical weakness within the future air domain? Attrition as a characteristic of the future combat air environment. Are UCAVs the way forward? 2:30 PM PANEL DISCUSSION: HOW MUCH DATA IS TOO MUCH DATA? The information capabilities of new and future platforms demand a renewed approach to training and development. If tomorrow’s pilot is to effectively exploit the data that these aircrafts will provide, they must be able to prioritise and act on information at speed, and to adapt the ways in which they acquire and engage a target. How is Artificial Intelligence being leveraged to enhance TTPs in a future training regime? 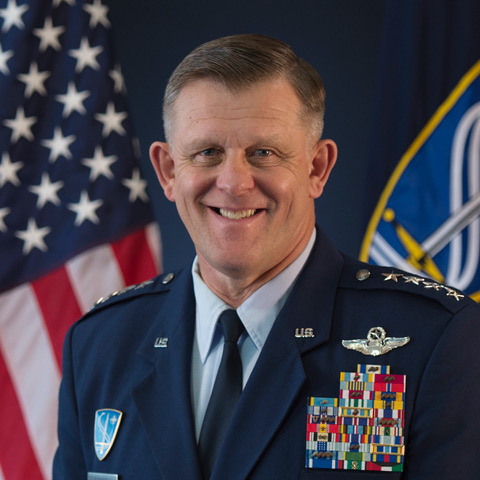 Check out the incredible speaker line-up to see who will be joining General (Retd.) Frank.